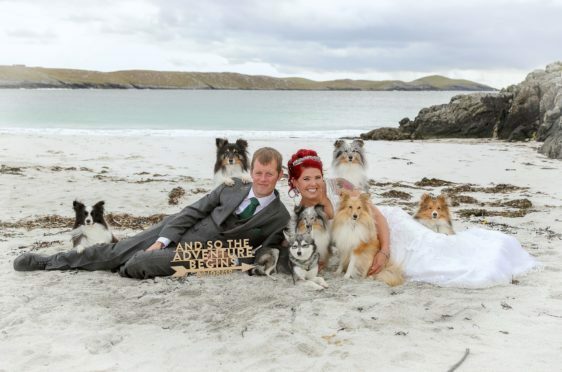 Famous Shetland sheepdogs – dubbed the ‘most obedient pups in Scotland’ – played a special part during a Lord of the Rings-themed wedding of a Scottish Ambulance Service emergency responder. Kaylee Garrick owns seven very obedient canines named, Fenton, Thiago, Thorin, Gimli, Murphy, Ghost and Jara. The 28-year-old, a Scottish Ambulance Service technician based at Lerwick Station in Shetland, is also a keen photographer. 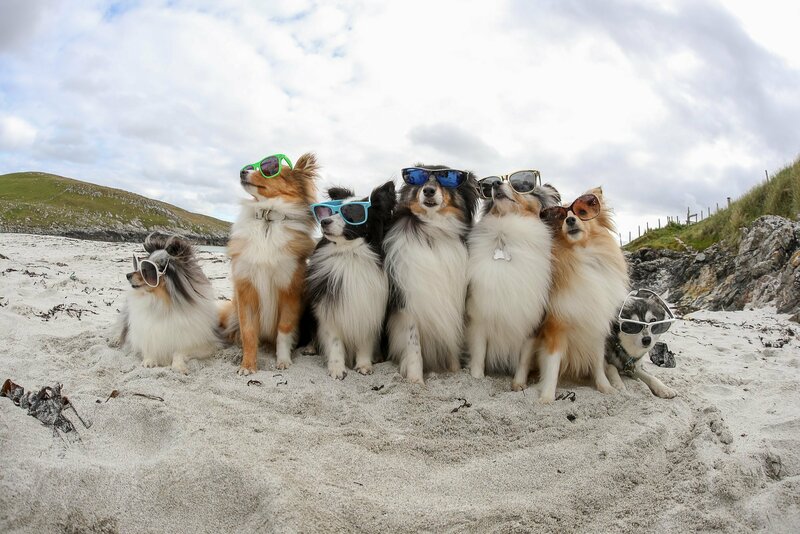 Over the past six years, the well-behaved pooches have been snapped at various locations across Shetland, including the beach and historical monuments. 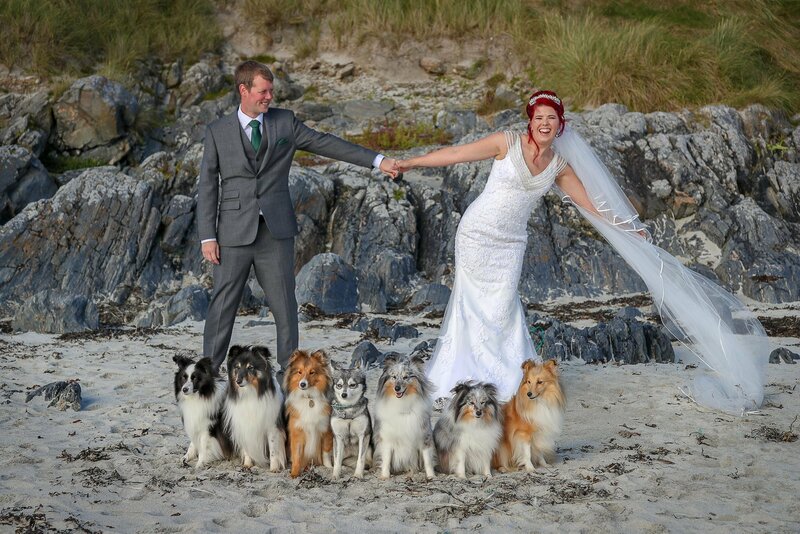 The photos – where the dogs are often lined up in perfect unison and in costumes – have been used in the hospital in Shetland and on tourism websites promoting the area across the country. The canines are known to sit for lengthy periods perfectly still, waiting for their next instructions. Kaylee has also used photos of the pups to calm patients, mainly kids, while they travel in an ambulance. Now, they have been part of a more intimate moment – Kaylee’s marriage to Robert Garrick. 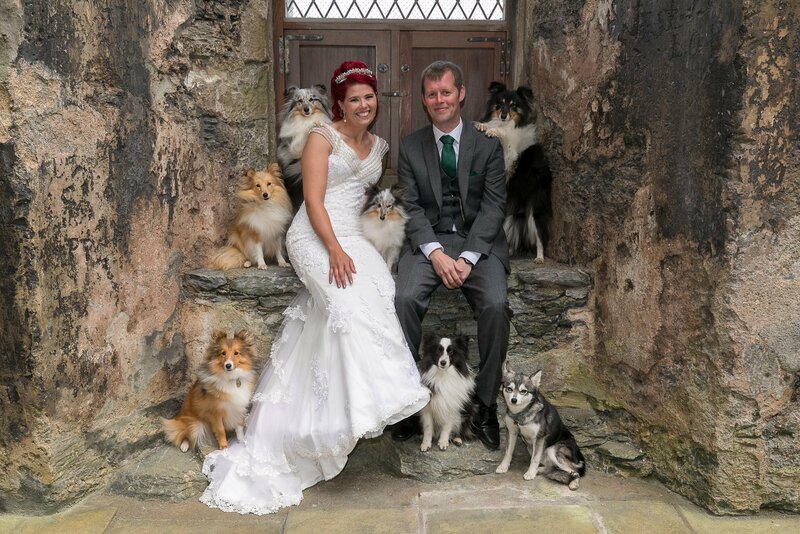 Kaylee married Robert, 31, on August 3 at Bogbain Farm in Inverness. The wedding’s theme was Lord of the Rings, Kaylee’s other love aside from her beloved pets. During the wedding, the best man – Bryan Garrick – pretended he’d “forgotten” the rings and went running out of the barn on a quest to retrieve them. Kaylee added: “Both me and Robert looks shocked and mad and I send out one of my bridesmaids to help him. On the video, the best man is seen signalling for help which is picked up by Pippin, with footage of the Lighting of the Beacons in the Return of the King edited into the video. ‘Gandalf’ then runs to “Hobbiton” – Kaylee’s house in Shetland – and seeks help from one of Kaylee’s dogs, Fenton. Kaylee explained: “A meeting is then held in Kergord Woods, in the west side of Shetland, where a “Fellowship of the Ring” is formed between the dogs and Gandalf. “The video ends with some funny shots of Gandalf running across the beach with the dogs. Kaylee and Robert had a series of snaps taken after their wedding vows and the couple, of course, were accompanied by their pets.